Nissan Canada said Thursday that the system will be standard on the 2018 Rogue, Altima, Murano, LEAF, Pathfinder, Armada, Maxima and Sentra. Nissan Canada is following the lead of the automaker’s U.S. arm and making advanced automated braking technology standard on most of the vehicles it sells in the Canada. 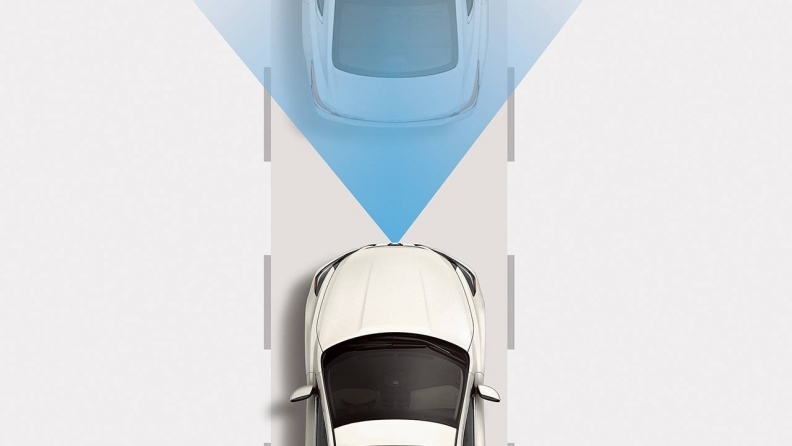 The Automated Emergency Braking (AEB) technology -- formerly marketed by Nissan as Forward Emergency Braking -- is currently offered only as an option in higher-grade trim packages. "This increased AEB availability is part of our ongoing commitment to help reduce fatalities while realizing our comprehensive vision of Nissan Intelligent Mobility,” Bert Brooks, senior manager of product planning, for Nissan Canada said in a statement. Nissan Canada said Thursday that the system will be standard on the 2018 Rogue, Altima, Murano, LEAF, Pathfinder, Armada, Maxima and Sentra, except for models equipped with manual transmissions or NISMO-trim packages. The company didn’t say how many total vehicles that equates to in Canada, but in the United States the company estimates that the radar-based system will be equipped on more than one million Nissan-brand vehicles for the 2018 model year. That would represent about two-thirds of all the light vehicles Nissan sells in the United States, four years before new federal safety rules are scheduled to take effect. Michael Bunce, Nissan North America's vice president of product planning, said the move will accelerate consumer acceptance of the active safety technology, which detects stopped traffic or other obstacles and halts a vehicle without driver involvement. Last year, the U.S. National Highway Traffic Safety Administration reached a voluntary agreement with 20 vehicle manufacturers to standardize automatic braking by 2022. Canada normally follows the U.S. lead when it comes to regulations and some automakers are pushing for streamlined regulation to be addressed in a renegotiation of NAFTA. "The technology is becoming more accepted in the market," Bunce told Automotive News. "We've begun to see in our market research that this system is resonating with consumers. Once they have it and experience it activating just one time, they can't live without it." Nissan first introduced an early version of automated braking in the U.S. in an Infiniti model, the 2005 Q45. The Nissan brand first introduced it on the 2015 Murano. Nissan sources the braking technology from two global suppliers -- Robert Bosch and Continental AG. In recent weeks as part of mid-model-year change, Nissan made an early move to introduce the braking feature as standard equipment on the 2017 Rogue and Maxima. According to a 2013 NHTS study, one-third of all police-reported crashes involve a rear-end collision. NHTSA also reported in 2015 that systems such as AEB can help reduce injury insurance claims by as much as 35 per cent. "That's something we want to embrace as part of our stated commitment to reach zero fatalities,” Bunce said. Bunce said it is difficult to quantify the value of making the technology a standard component, but until now, the higher priced trim levels with the relevant tech packages cost between US $7,000 and US $10,000 more than the base models without the technology. "We're starting with the high-volume vehicles of our portfolio, but we're not stopping with those," he said. "We will continue to roll it out until we have it on 100 percent of our models." Lindsay Chappell and Greg Layson contributed to this report.